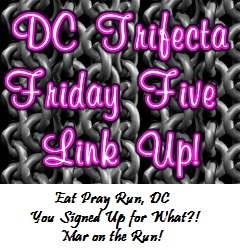 Today I'm going Eat Pray Run DC for the Friday 5 linkup! 1. Work: Today is the last day of school with kids, which means for me it's my last day with classes...maybe ever. I'm not sure I made a formal announcement here yet, but you guys may remember I've been training to be a CRT this year. Well, the position opened up at my school (one of our current CRTs is being promoted to assistant principal at another school), and I'll be taking her place! It's bittersweet, really. 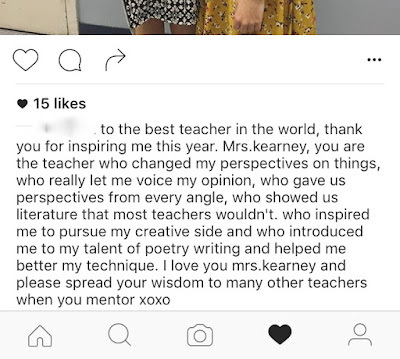 I love being in the classroom with students; seeing the lightbulb moments, watching them connect to literature, expanding their global awareness and social understanding...I mean, I live for that. But I'm ready for a change, and I'm excited to mentor other teachers and help them create the same kind of atmosphere in their classrooms. 2. Mental health: I can't seem to focus this week. I'm just running on fumes. I think my exhaustion is making me emotional. I've been thinking about Archie a lot and I keep feeling the inexplicable urge to lock myself in the bathroom and cry for no reason. Wednesday I was at school for 15 hours because graduation was at 6pm, and the 8th grade dance followed until 9pm. The dance was fun and it was awesome to see the kids let loose, but I'm just exhausted. I just want to sit down, unwind, and let some of these emotions out. But I can't quite yet...I need to hold on another day. 3. Physical health: That exhaustion has translated into crappy eating. I've been eating way too much; I'm not necessarily hungry, but I'm an emotional eater so I'm definitely comfort eating. Of course, that makes me more tired and sluggish. 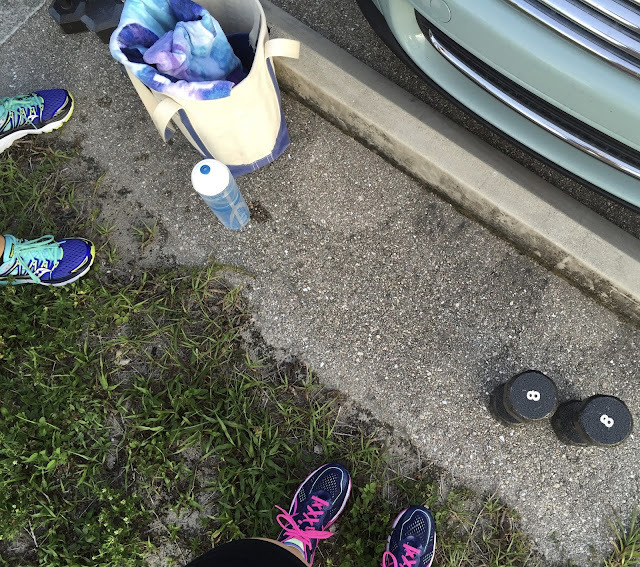 I'm getting my workouts in, but this week I've just felt totally uninspired and unmotivated. I need to break the cycle. 4. Running: I still can't decide if I like my new Kayanos. I got the 22s in an 8.5 (like I usually do for the 21s) and they were super long in the toe box, but narrow. I tried the 8s and they were WAY too narrow! Then I tried them in the wide size. While that's better, it's not great. I do think my feet have a little too much room to slip around, and I hate to tighten the laces too much because they'll pinch. I'm going to be trying a couple new shoes in the next few weeks to find a good replacement. I wrote a strongly-worded complaint and got a form-letter back. We'll see if they fix the issue of the narrowness in the 23s. 5. Weird and Random: I've been getting a lot of compliments lately from my student about...my eyebrows. What an odd thing for them to notice, and even odder for them to comment on! I don't know...they're well-groomed, I guess? On a less weird note, I've gotten a couple wonderful comments from the kids about class this year. They appreciate that I let them voice their opinions and that I've helped them explore new and challenging real-life topics via the literature we read. I'm so glad I made an impact on them, and I hope the spark I've helped to ignite in them continues to burn as they enter high school. This has been a wonderful year to cap off my dedicated classroom time. My kids have been socially conscious, engaged, interested and interesting, bright, compassionate, and kind. Today I say goodbye to them...and my little kingdom in room 307. Does fatigue play tricks on your emotions? I hope you get the shoe thing figured out! It is the pits when shoes don't fit just right. I bet you are excited for the school year to end. I know my sister is. Today is her last day too. My sister tells me some things that her students say to her too that I think is just very random. Kids I guess just have no filter.....haha. Congratulations on the CRT position, I know you'll do great! 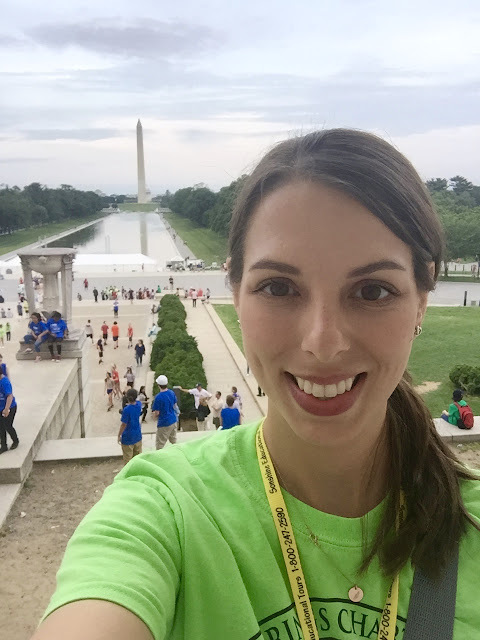 Sometimes taking a change in your career can be scary but such a great way to grow! I know how it feels to be running on fumes, things have been crazy with getting ready to move into our house and work being busy. Hope you feel better! Congratulations on your new position!! So exciting!! Reading through blogs it seems like a lot of people were feeling off this week. Must be something in the water? I had a pretty meh week myself. It was fine, but, I've just been totally unproductive and stale and feeling like I need to shake things up somehow. congratulations on the new CRT role! Sounds exciting. Stress can affect all areas and I'm sure once you get a little downtime you'll start feeling like yourself in no time! Fatigue absolutely messes with my emotions - much more likely to get angry, much more likely to feel down. But soon you'll get a chance to rest, yes? 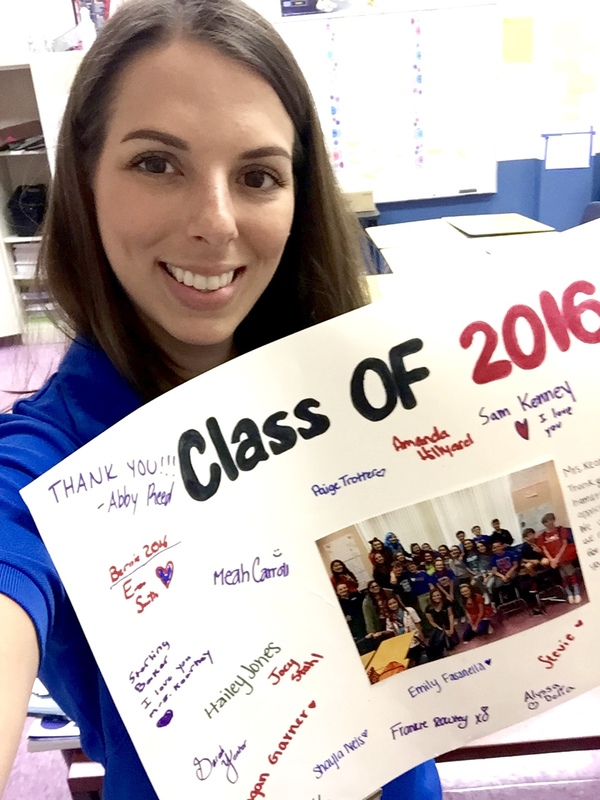 Awwww what a sweet comment form your student! Fatigue plays a huge roll in how I eat. I tend to really overeat wen I feeling rundown and tired. It is so hard to put the brakes on sometimes, but I try...it is like the kids when you redirect them, we have to learn to not zone out when it comes to mindless eating, easier said than done, right. It is awful when a shoe update messes up! 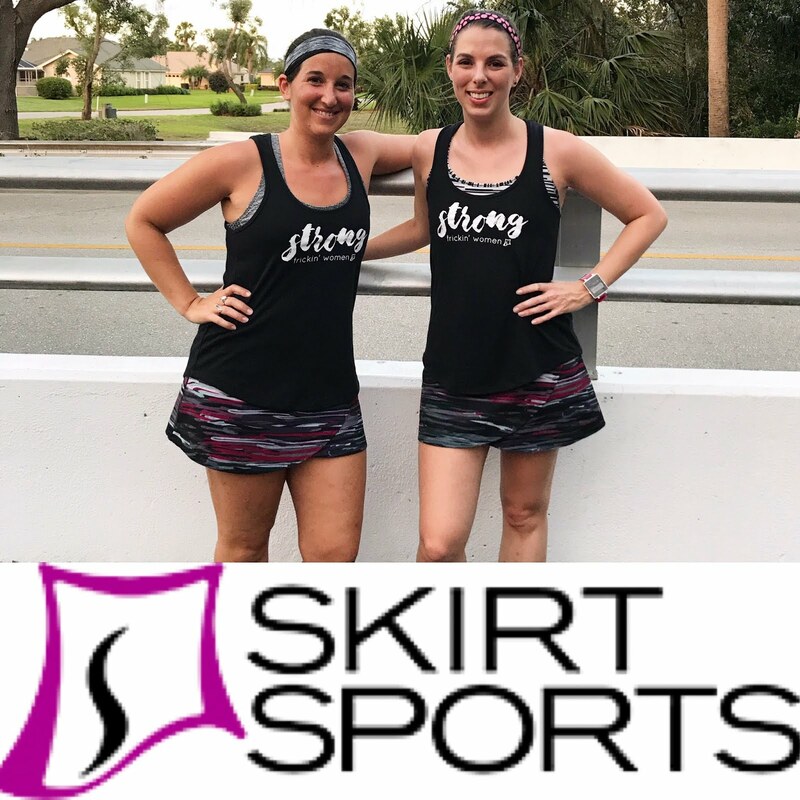 Congratulations on your promotion ! It sounds like a great opportunity ! I've been eating so much junk this last week! I can't even begin to think about it ! Congrats on nabbing that new position! :) I know you love being in the classroom but obviously other teachers are going to be able to learn so much from you now! I am sorry it has been a hard week emotionally. :( I hope by quitting time on Monday you will have the time you need to sort all those feelings out! It's hard to do when you're so busy at the end of the school year. I can't for the life of me remember who Archie was -- pet, brother relative? I'm not much of an emotional eater anymore -- far more likely to shop or exercise. Except for boredom. It gets me every time. It's why I find traveling so difficult, much as I love it. Congrats on your new job! Change is difficult and scary, but so necessary. Congrats on the new position! I can tell that you are a truly phenomenal teacher and it is so great that you're going to mentor other teachers. Fatigue definitely plays tricks on my emotions and wrecks havoc on my normal sleeping and eating patterns. It's totally normal and it makes sense that you would feel that way after a long school year! Just think, in a day or so you'll be able to sit back and take time to destress!